The clinical team looking after your baby record information from admission to the neonatal unit until discharge, and then at the age of two years. The information is an important part of your baby’s care. It is recorded electronically on a secure NHS system (called Badger.net). 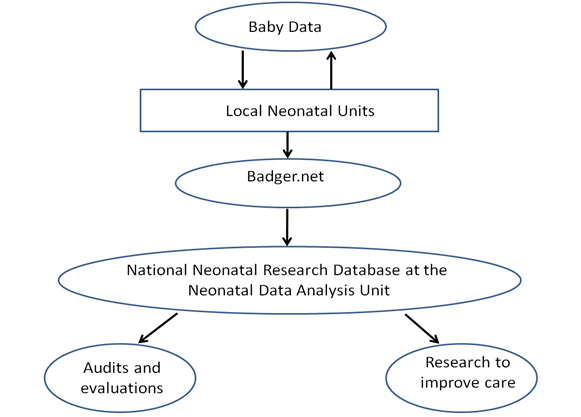 It is also released to the Neonatal Data Analysis Unit (NDAU) where it is stored in a confidential National Neonatal Research Database (NNRD) in accordance with the Data Protection Act 1998 and the NHS Act 2006 and used to support a large number of outputs aimed at improving newborn care; some examples are shown below. An information sheet is available that explains how your baby’s data is used to improve care; please ask a member of staff if you have not received a copy or go to our leaflets page. If you have any questions or do not want your baby’s information to be used in this way, please tell a member of the neonatal unit staff. They will make sure your baby’s information is not sent to the Neonatal Data Analysis Unit and not included in the National Neonatal Research Database. The Neonatal Data Analysis Unit (NDAU) at the Chelsea and West minster Hospital camput of Imperial College London supports UK Neonatal Units, Networks and NHS Hospitals to improve the quality of care for babies by analysing information on babies admitted to all neonatal units in England, Scotland and Wales. 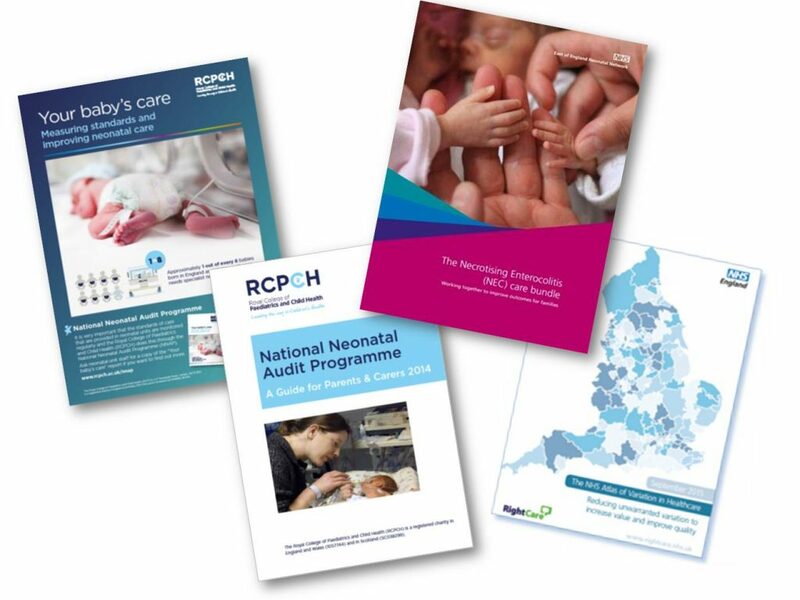 The National Neonatal Audit Programme is run by the Royal College of Paediatrics and Child Health. Data from the National Neonatal Research Database is used to measure the quality of care. 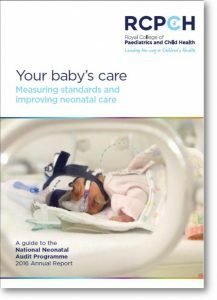 This informs clinical teams and managers about how they compare with other hospitals and helps them improve the delivery of care and the outcomes for babies.